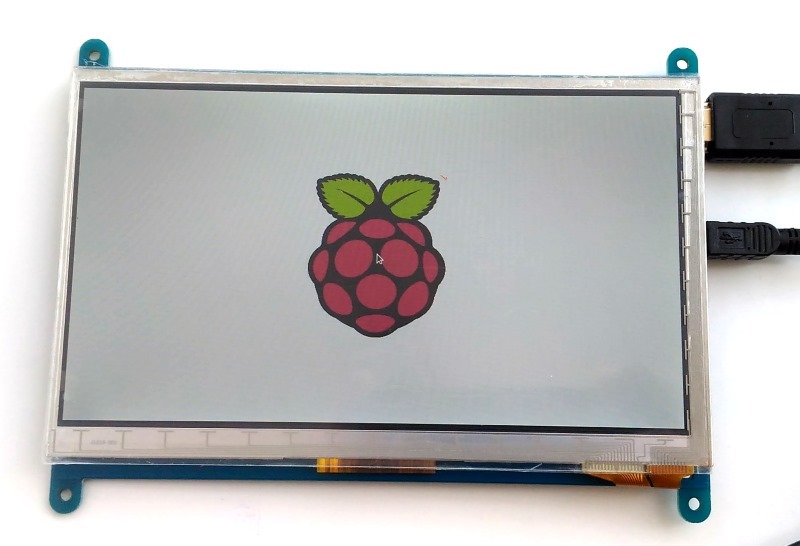 A colorful LCD display is always a great add-on to any Raspberry Pi project. 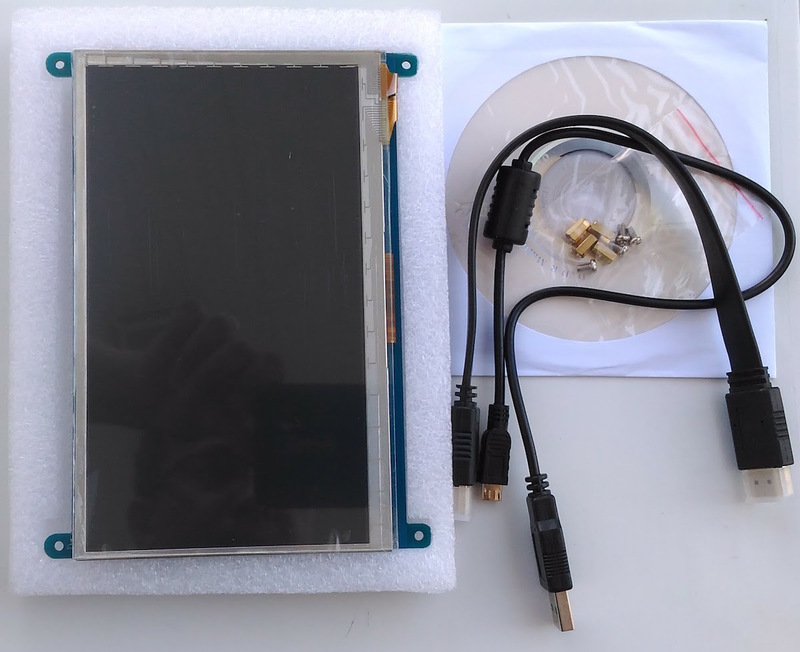 This article provides a quick review of a high resolution (1024×600 pixels) 7″ HDMI LCD product from Elecrow and illustrates a simple way to set it up for Raspberry Pi. 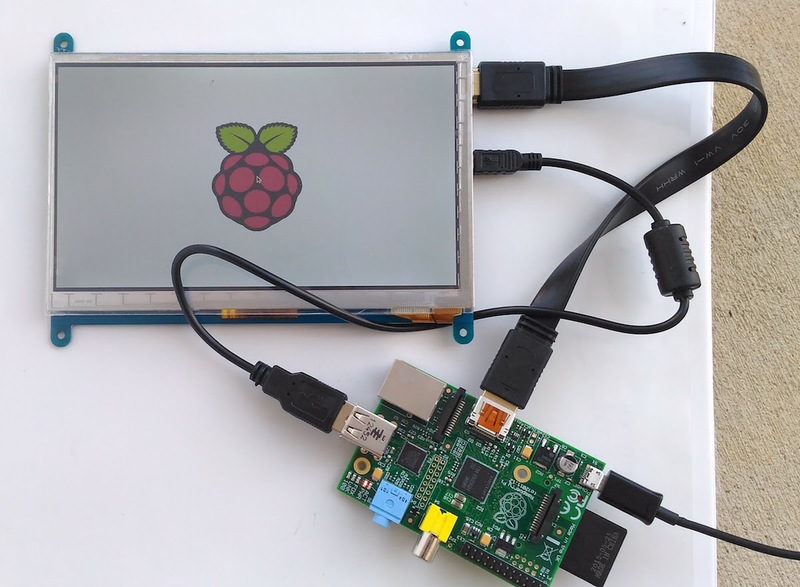 With HDMI support, built-in capacitive touchscreen control, and 4 mountable corners, this LCD is a perfect Plug-n-Play display for use with single board computers like Raspberry Pi and Banana Pi. It comes with an HDMI cable for the display, an USB cable for touchscreen control, four mounting screws, and a DVD containing the driver softwares. 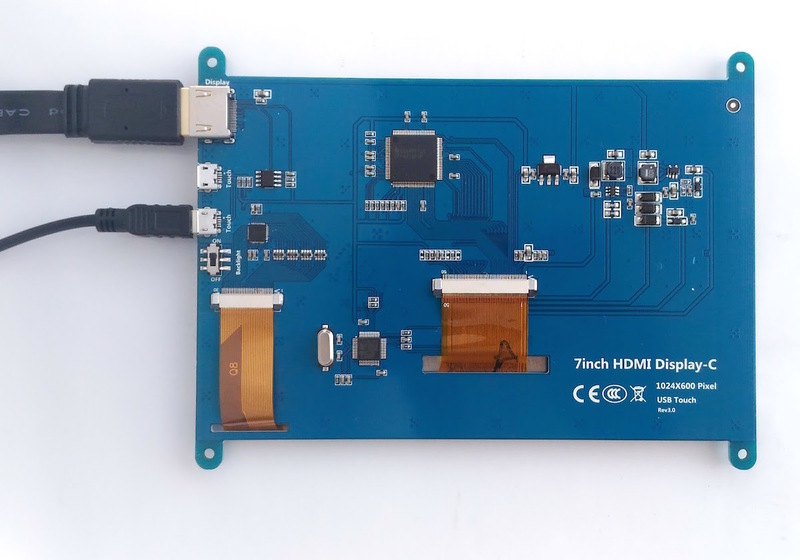 The setup of this HDMI LCD display for Raspberry Pi is pretty easy and straighforward and can be done without installing any drivers from the included DVD. Following figure shows the backside of the LCD. Use the HDMI cable included in the package to connect the HDMI port of the display to that of the Raspberry Pi board. 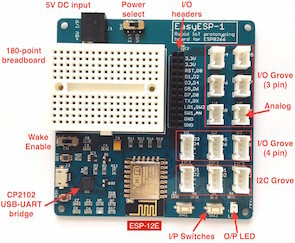 The touchscreen control for this LCD is USB-based, and you need to connect the micro USB port on the backside (labeled as Touch) to an USB port of Raspberry Pi using the USB cable included in the package. On my LCD, I have two micro USB port on the back. They are both labeled as Touch, and connecting to either one works just fine. There is a slide switch for ON/OFF control of the LCD backlight. You need to slide it to ON position, as shown below. This completes the hardware setup. Note that the LCD display receives the power supply from the Raspberry Pi board via the USB cable. Next, you need to open the config.txt file (usually accessible as /boot/config.txt) on the SD card containing the Raspberry Pi OS, and add the following lines at the end of the file. The easiest way to do this would be to insert the SD card on a linux or MAC computer and edit the config.txt file with a text editor. The details of config.txt can be found in this page. The hdmi_group=2 selects the HDMI output to DMT (Display Monitor Timings, the standard typically used by monitors). If you look on this page, it provides a table with a list of 86 hdmi_modes defined for hdmi_group=2, but none of them matches with the resolution specification of our display (1024×600 pixels, 60 Hz framerate). So we need to define a custom mode (87) for our display, which is done by the last two lines. The hdmi_cvt line sets the custom resolution (1024×600), framerate (60 Hz), and aspect ratio (6 for 15:9). After modifying the config.txt file, save the file, eject the SD card from your computer, and install it back on to your Raspberry Pi. When you will power your Raspberry Pi next time, you will see the booting up on your HDMI LCD screen. Make sure the 5V power supply you use for your Pi board is rated at least 2A. I have tested it with Raspberry Pi 1 B as well as with the latest Raspberry Pi 3 B models, and it worked like a charm with both. You can get this LCD display directly from Elecrow website or on Amazon using the following link.